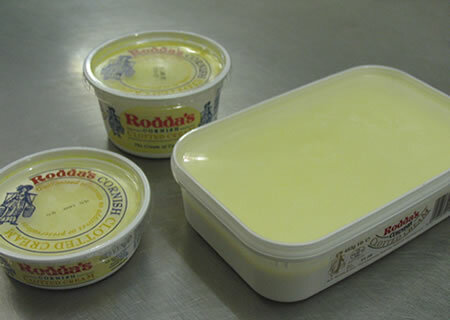 If you ask any Cornishman, (apart from that which their grandmother makes) there is no other proper Clotted Cream apart from Rodda's. Pastyman™ are proud to be able to offer you this famous cream. Rodda's Cream is the only product we sell not actually made by Pastyman™. Order your Clotted Cream now!